We create bespoke continuous seamless surfaces, mainly for flooring and wall coating applications for residential and commercial clients. Renovacem microcement and microconcrete, is an ideal choice for renovations or new built. 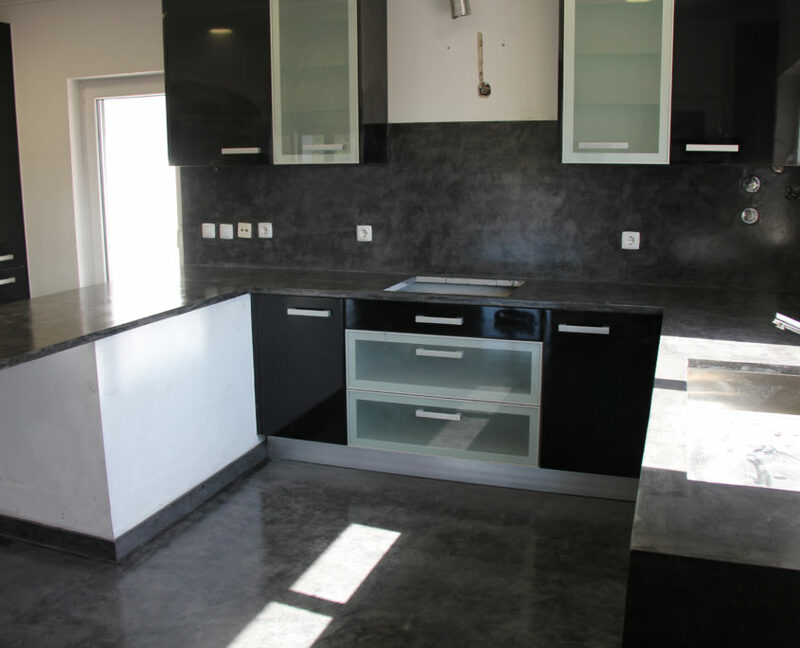 We specialize in the installation and distribution of Microcement finishes and products. We create bespoke continuous seamless surfaces, mainly for flooring and wall coating applications for residential and commercial clients. With more than 10 years experience in the decorative finishes field and pioneering the introduction of Microcement in Ireland, we have successfully completed many projects here and abroad. Renovacem Microcement is waterproof and provides an effective tanking system in wet areas. A perfect finish for a modern space to improve you home style. We can create worktops, vanity units, kitchen islands, shelves, chimney breasts and even sinks or baths to complement your kitchen, bathroom or living room. Our floors are elegant practical and lifelong lasting bringing a sense of openness and continuity to the spaces. Our Renovacem Microconcrete is the trendiest of solutions for flooring in commercial premises because is stylish, tough and easy to clean and maintain. Suitable for heavy traffic areas with very good anti-slipping properties. 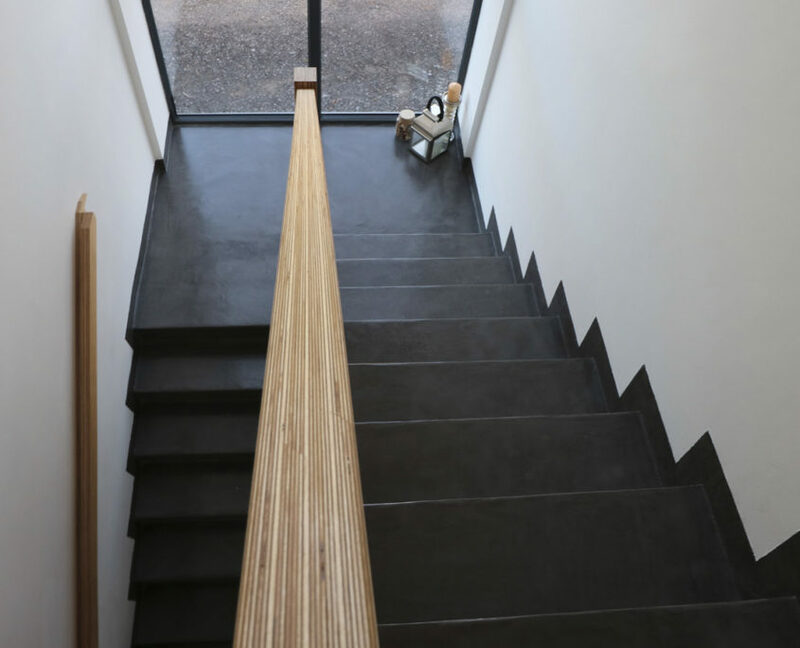 Renovacem Microcement looks amazing in stairs combined with other materials like wood or glass. Over the years exclusively dedicated to Microcement , we have tested many products and we are able to supply our clients with the best products available in the marketplace. All our products CE marked and independently tested by AP++ Laboratories. Throughout the last decade, the number of projects successfully completed are certifying our mastery. Thanks to the extensive knowledge acquired and continuous training, our experienced team can approach almost any project, regardless its size or complexity. Because we are distributors, we can offer very competitive prices. Please do not hesitate to contact us, should you have any inquiries regarding the costs of your projects. Ask us today how can we help you. We are constantly searching for new exciting developments in the industry, in order improve our service and product quality and to be always at the forefront of Microcement technology and design. We like to be in touch with our clients and to follow up on all our installations, as part of our commitment to deliver a gratifying experience for using our services, solving swiftly any post installation issues that might arise and providing maintenance services. 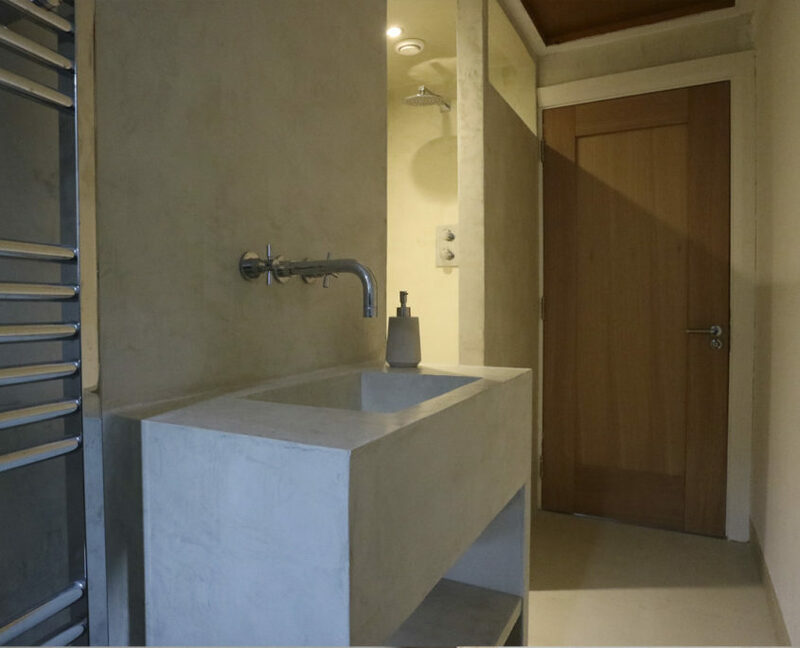 RenovaCem is continuously seeking customer satisfaction through a personalized approach to each project, liaising with Clients, Architects, Interior Designers and Builders at every step, ensuring to meet execution times and budget and by achieving our foremost goal which is to deliver an outstanding and flawless finish product. RenovaCem Microcement is an advanced cement mortar resulting from the blend of modified cement, graded quartz sands and high-quality polymeric resins resulting in a product much more resilient, elastic and adherent than common cement mortars. RenovaCem Microcement. It is hand trowelled measuring 3-4mm thick in total and can be applied to any new or old surfaces such as tiles, plasterboard, concrete or plywood. 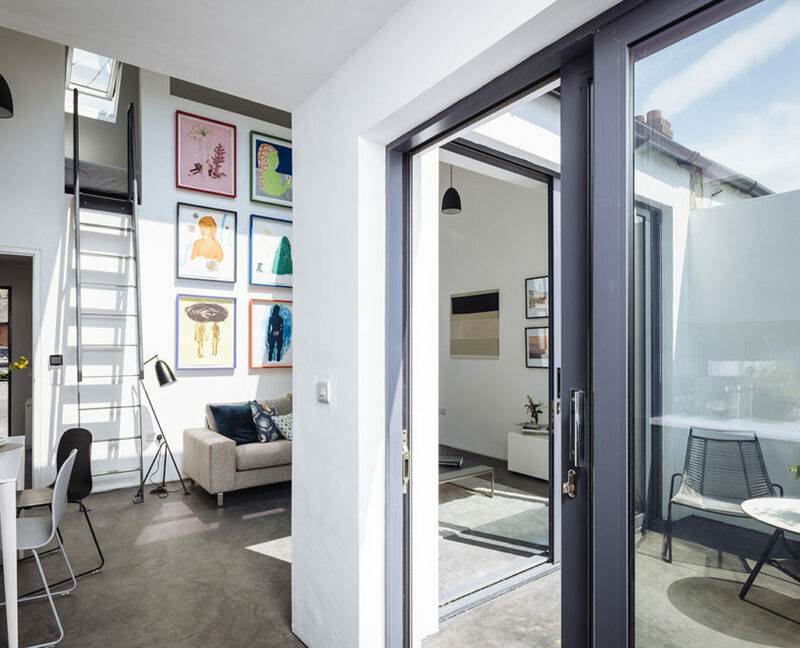 Our Renovacem Microcement and Microconcrete bespoke finishes are each unique and tailor-made to suit our clients’ preferences. 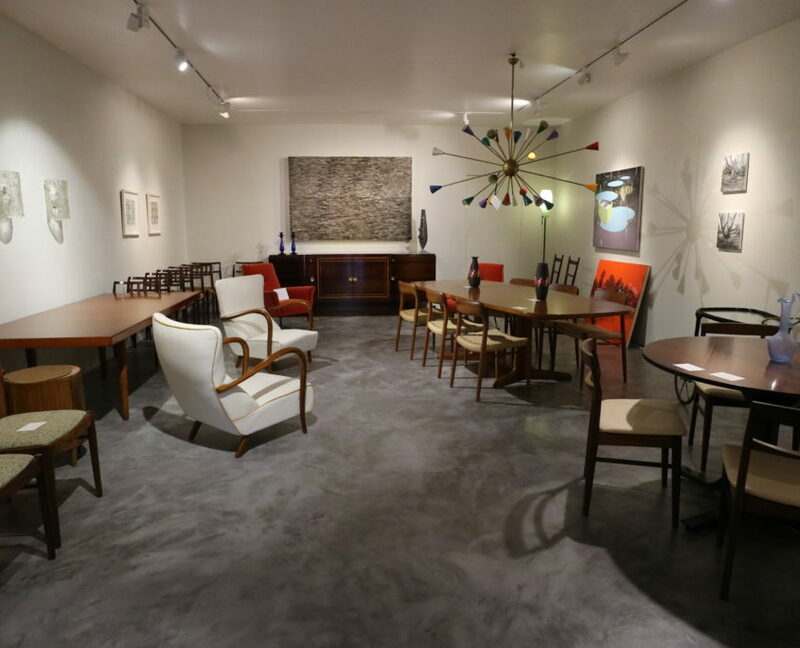 The polished concrete like results of our finishes are stunning and long-lasting and are available in a rich array of colours and textures. Talk to as for colour swatches and sampling. Adheres to any surface like plywood, tiles, plasterboard, stone, steel, plastic or concrete. High thermal conductivity when installing over underfloor heating. Available in a vast colour and texture range. A fibreglass mesh is fitted to avoid that any cracks that might occur in the subfloor are transferred to the finish. The Microcement is laid in 2 base coats and a minimum of 2 finishing coats. The three last coats will be dyed in the desired colour and sanded down in order to achieve a polished smooth finish. After ensuring that the correct smoothness and planitude are achieved and that the finish meets the clients’ requirements, we will only then proceed with applying the last 3 sealing coats. At RenovaCem we will be very happy to discuss with you any aspect of your project. I used Renovacem for my home staircase and could not be happier with the results. The quality finish provided exceeds my expectations. We got in touch with Renovacem to give us a quotation for the floors in our depot. We accepted the price quotation as it was lower than other services. We are happy with the new floor in our facility.